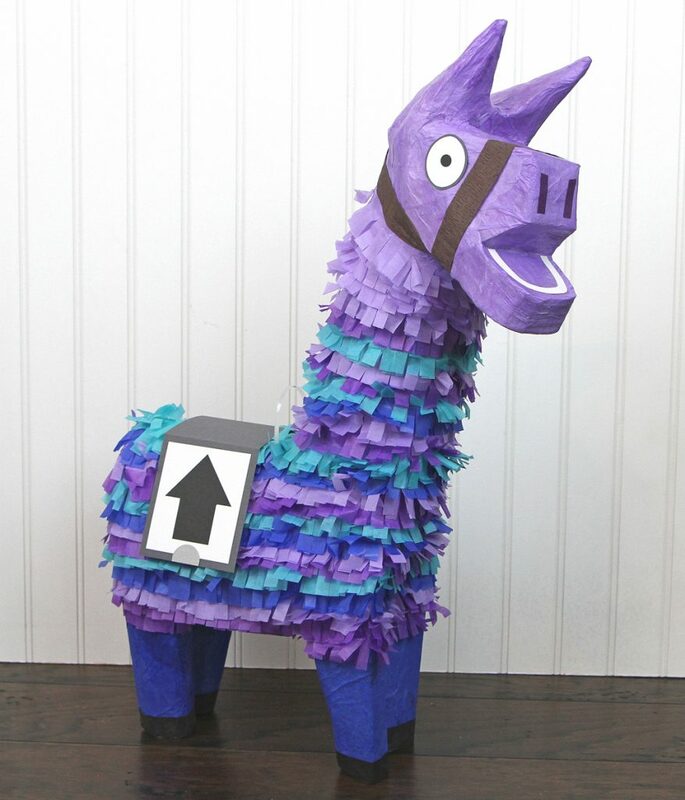 You know that feeling when the pinata explodes and the treasures inside rain down and then there’s a mad rush to get as much of that sweet reward as you can grab? Yeah well, that’s basically what happened to the gaming world with the release of Fortnite season 6 Darkness Rises. Fortnite has been holding onto the attention of gamers with a viral-like grip. 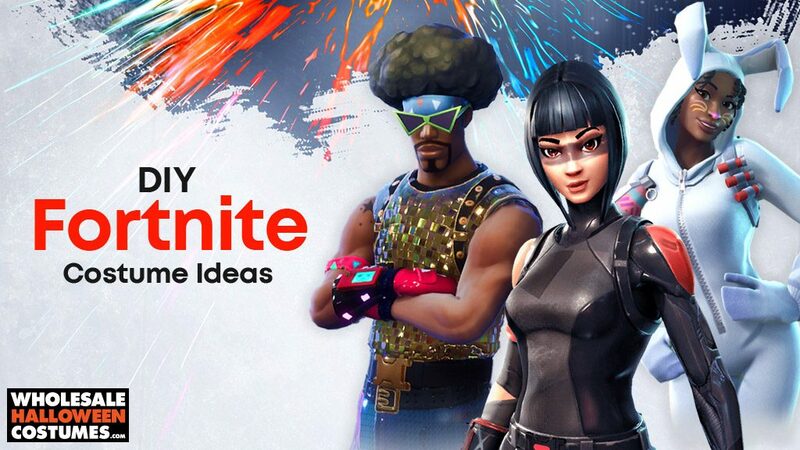 Meanwhile, we’re over here preparing for the Fortnite parties that are just another inevitable part of any pop culture revolution. 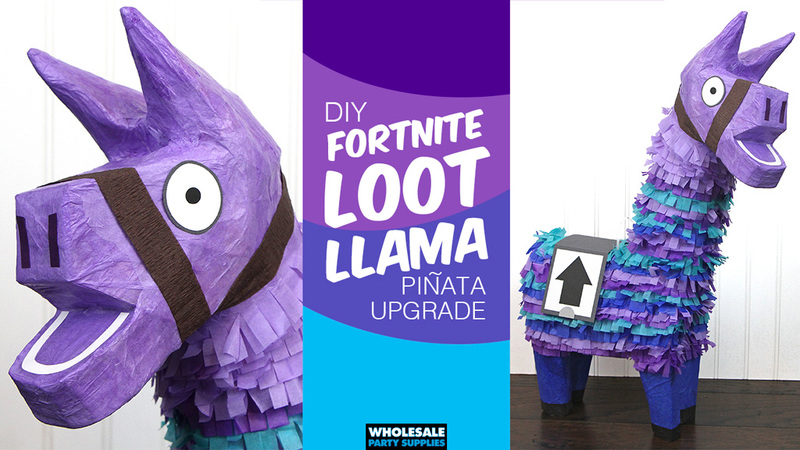 Watch as we transform an inexpensive donkey pinata into the coveted Loot Llama of Fortnite fame. Use this transformed pack animal as either a centerpiece at the party’s refueling station or stuff it with candy and let your gaming crowd bust it open battle style. We captured the distinguishing traits of this colorful character and you can too with these easy steps. 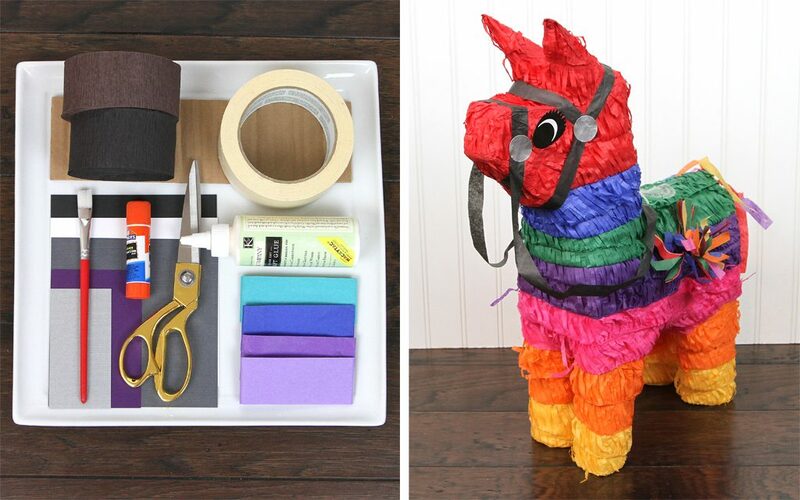 Remove pinata covering and side holders. Reserve one of the holders for later use. 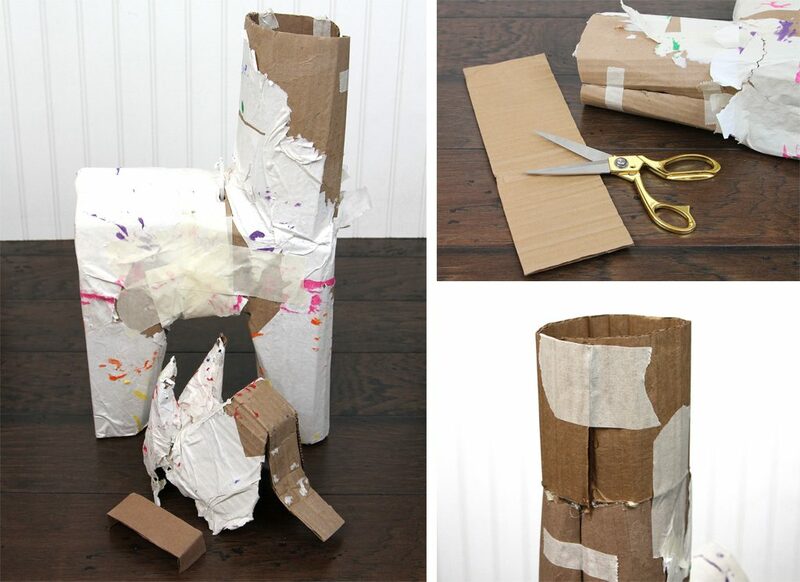 To make legs more llama-like, begin by cutting each from “hoof” to belly and removing about 1” of cardboard. Re-form legs, using hot glue and masking tape to secure. 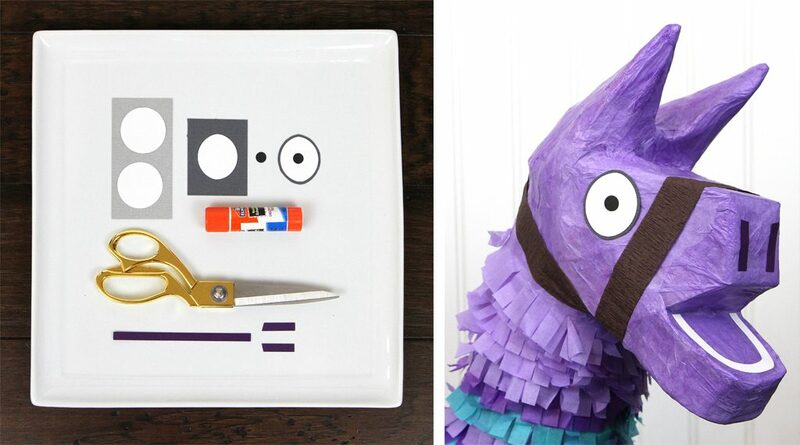 Carefully remove pinata head (make sure to reserve cross piece). 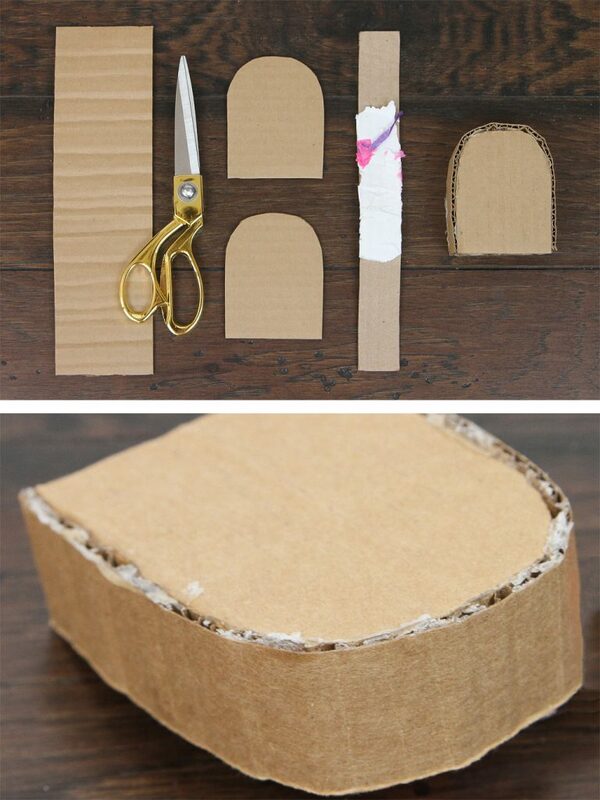 Determine the diameter of the neck and cut a piece of cardboard 4” wide by that length. Attach “head extension” to top of the neck using hot glue and masking tape. 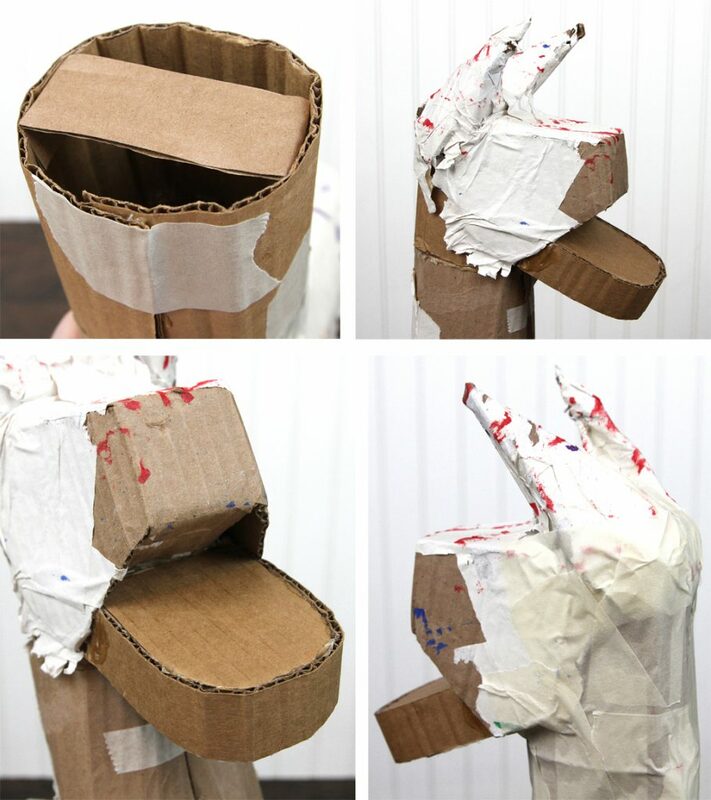 TIP: Roll cardboard into a spiral to make it more pliable and easier to curve around neck opening. Construct bottom lip by trimming cardboard into two mouth shapes. Use reserved side holder piece to attach mouthpieces together. Reassemble head onto neck then attach mouth just under nose area. For stability, be sure to reinsert and glue cross piece. Cover any uneven seams with masking tape. 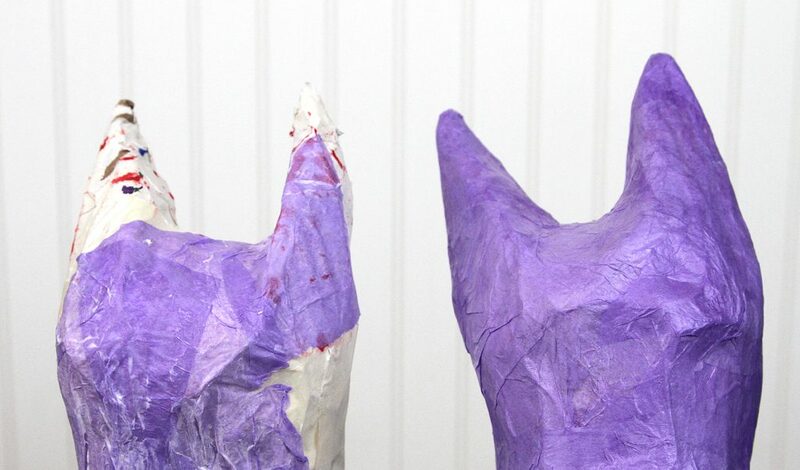 Cover head and top of neck with lavender tissue paper. Layer multiple pieces for optimal coverage and color depth. 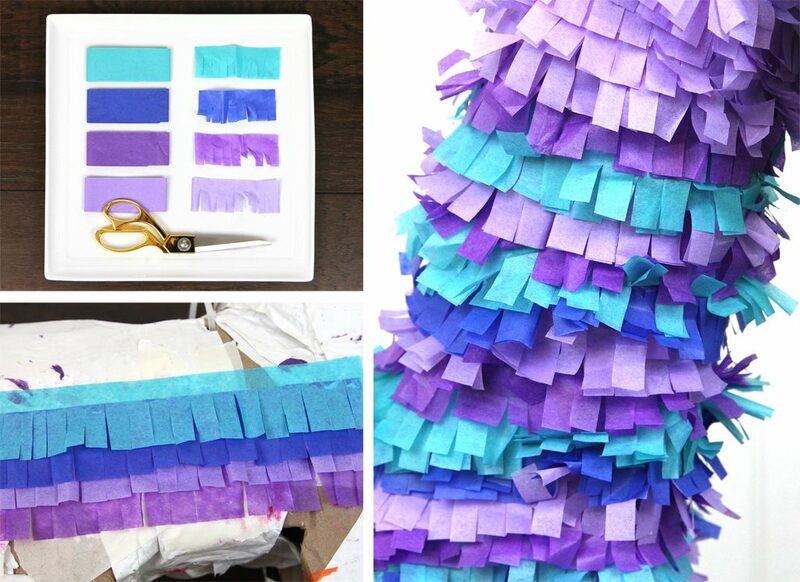 TIP: Spread glue onto pinata using paintbrush, apply tissue then re-apply a thin coat of glue to seal. 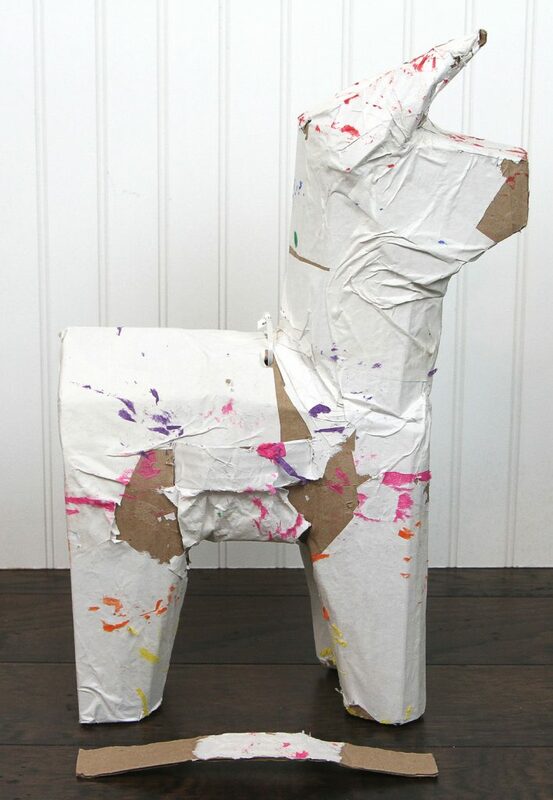 Using the same method as mentioned above, cover legs and underbelly with a dark blue tissue. Once dry, add black crepe streamer (cut in half lengthwise) along leg bottoms to mimic hooves. Cut tissue into 1 ½” strips. 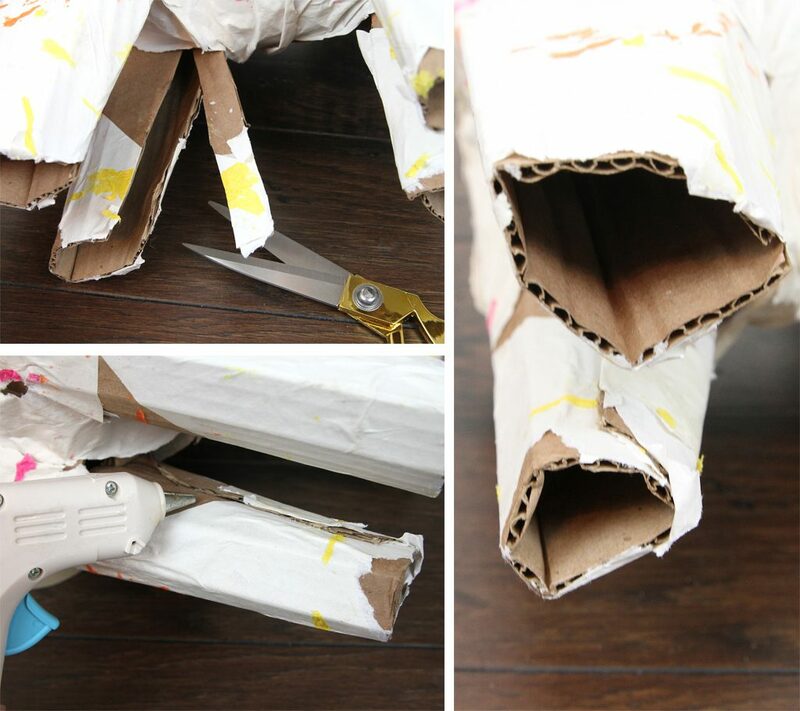 Use scissors to fringe long sides. 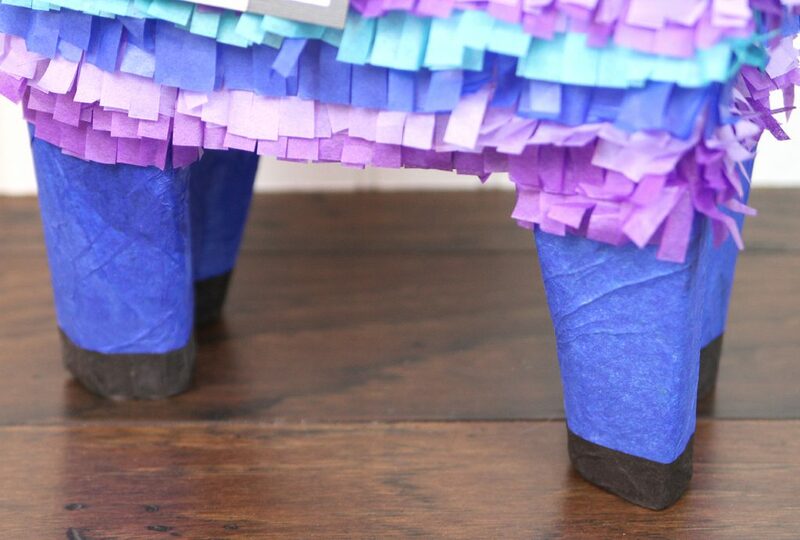 Apply strips to pinata starting at the belly and working upward. TIP: For more opaque coverage, attach two layers of the same color fringe at a time, one layer on top of the other. 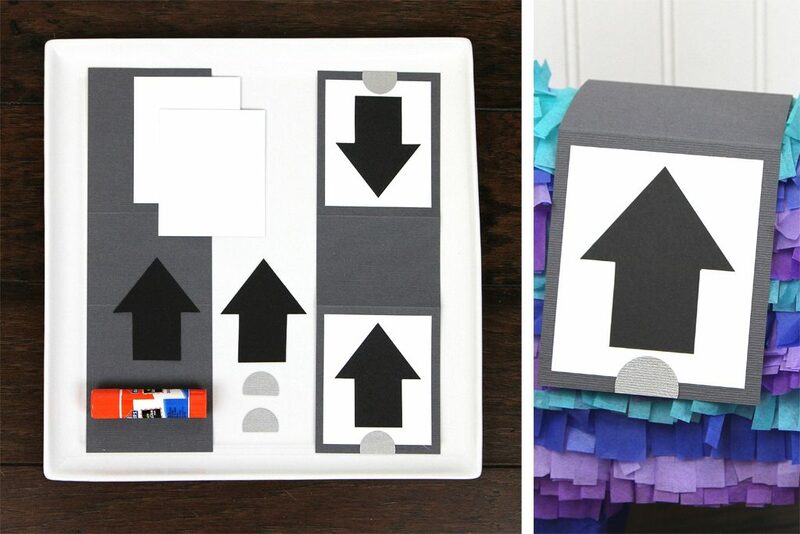 Make a cardstock “saddle” using a grey rectangle base, white squares, black arrows and silver half circles. Our saddle measured 3 ½ inches wide x 10 ½ inches long. 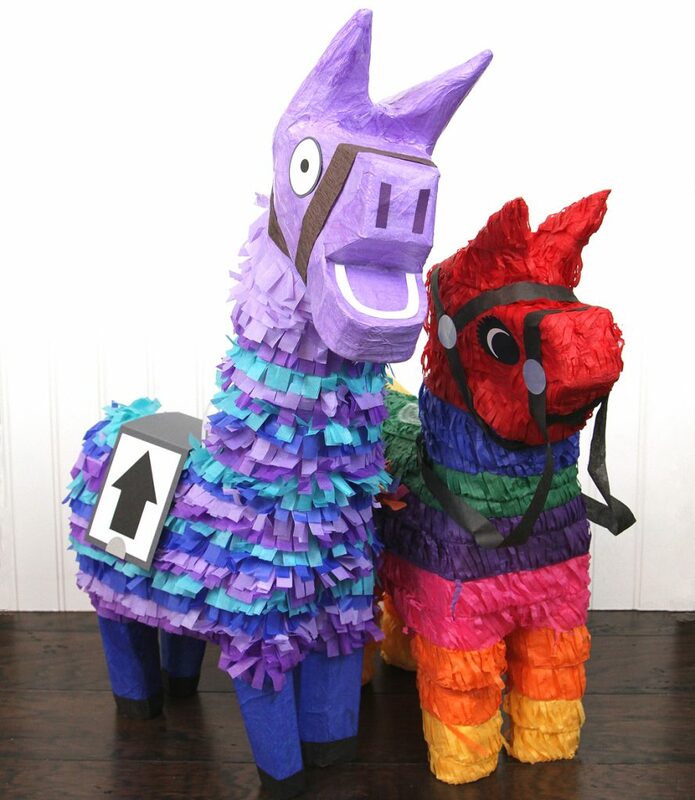 TIP: If you are going to fill the pinata, make sure to do so before attaching the saddle to the llama’s back. 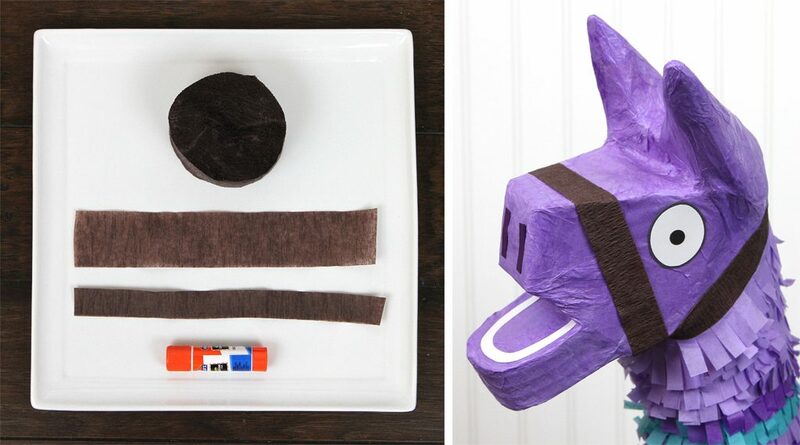 Create eyes, teeth and nostrils from cardstock. Glue to head using a picture as a guide. TIP: For the eyes, start with white punched circles then trim to an oval-egg shape. Glue to grey cardstock and trim around leaving a thin border. Cut a length of brown crepe streamer. Fold in half hot-dog bun style and use a glue stick to adhere together. Wrap streamer around the head to create “reins”. Hot glue in spots to secure. Stop by our WholesaleHalloweenCostumes.com blog to see how to pick up some new skins!